Author’s Note: This article appeared in the latest US Lacrosse Magazine and we had to wait for it to post online before we could link to it. It’s a great read! Football and baseball reign supreme on Florida’s Gulf Coast, especially in and around the Pensacola area. But starting about six years ago, Cassandra Waller, who oversees the physical education curriculum for Escambia County Public Schools, started to hear rumblings of another sport in her community — lacrosse. 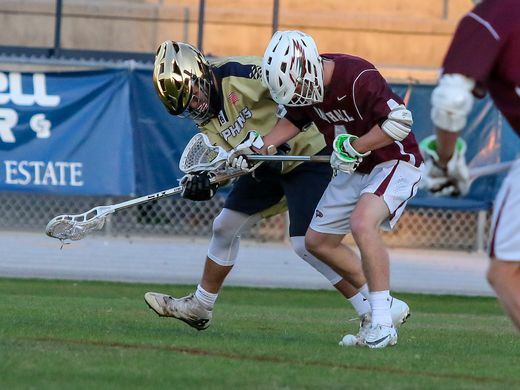 More and more youth programs, like the Pensacola Knights and Gulf Breeze, popped up and children were increasingly becoming interested in the stick-and-ball game. By 2013, Escambia County had up to four Florida High School Athletic Association-participating teams, but Waller saw even more potential in the sport. Why couldn’t middle and elementary schools have lacrosse included in the curriculum? PrevMatanzas 2019 Matthew Hinman Commits to Mars Hill!